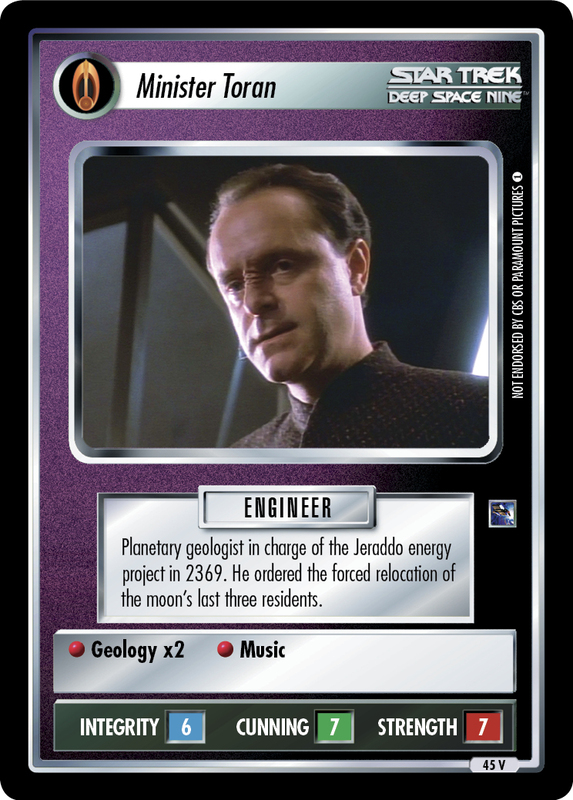 Planetary geologist in charge of the Jeraddo energy project in 2369. 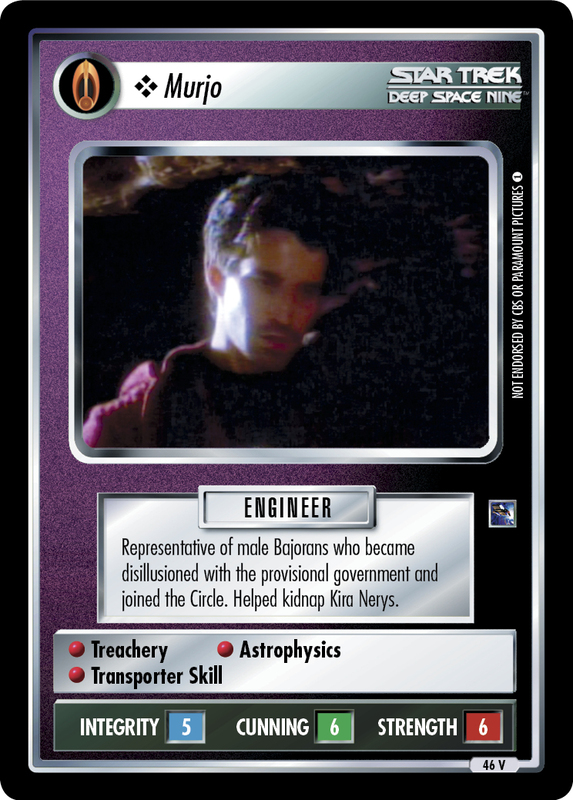 He ordered the forced relocation of the moon's last three residents. 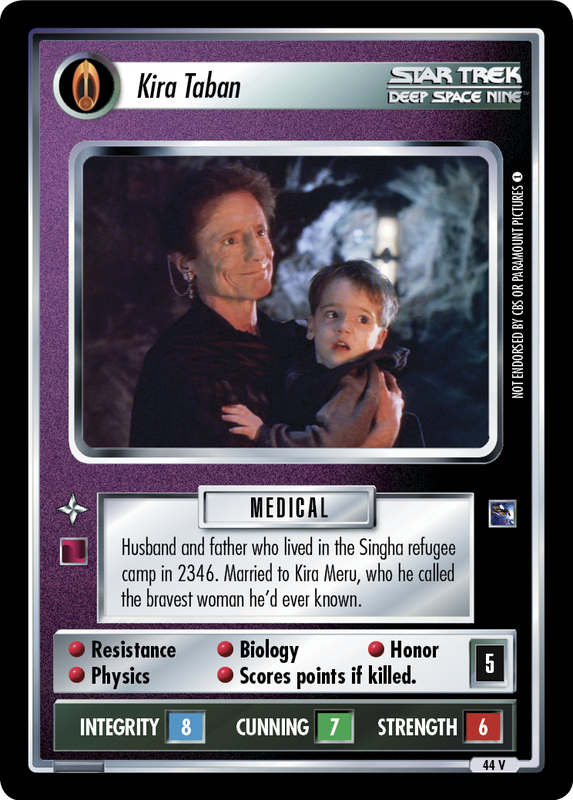 Image Source: Deep Space Nine: "Progress"